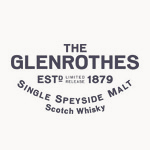 The Glenrothes Distillery is located in the town of Rothes, in the Speyside region of Scotland, and was founded in 1878. Despite production being halted due to a couple of fires, one in particular that destroyed 2500 casks, it has been steadily producing whisky since 1922. It now houses a total of 10 stills, which creates a large production capacity of around 5.6 million litres. There is a core official range which are bottled as specific vintages, rather than containing an age statement. Some of the spirit is also used in blends such as Famous Grouse.